These tantalizing ancient finds may—or may not—offer material evidence of locations, characters and stories written about in the Bible. Megiddo is better known to some by its Greek name of Armageddon, which some Christians believe will be the site of the end-times battle prophesied in the Book of Revelation. Archaeologists have uncovered an astounding 26 layers of human occupation at this site, which is located about 30 km southeast of Haifa, Israel. 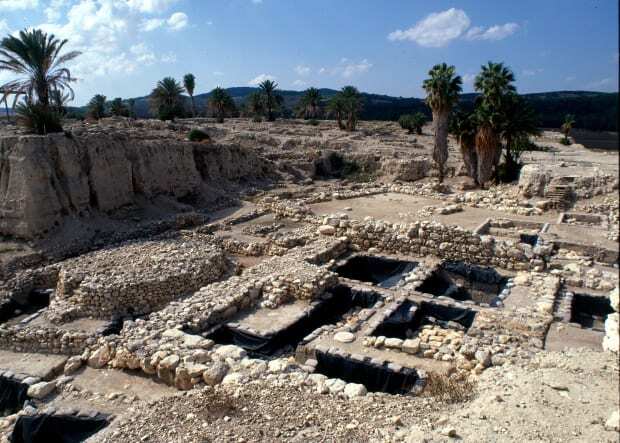 A leading Canaanite city during the Bronze Age, it later became an important royal city in the Kingdom of Israel, according to the Hebrew Bible. 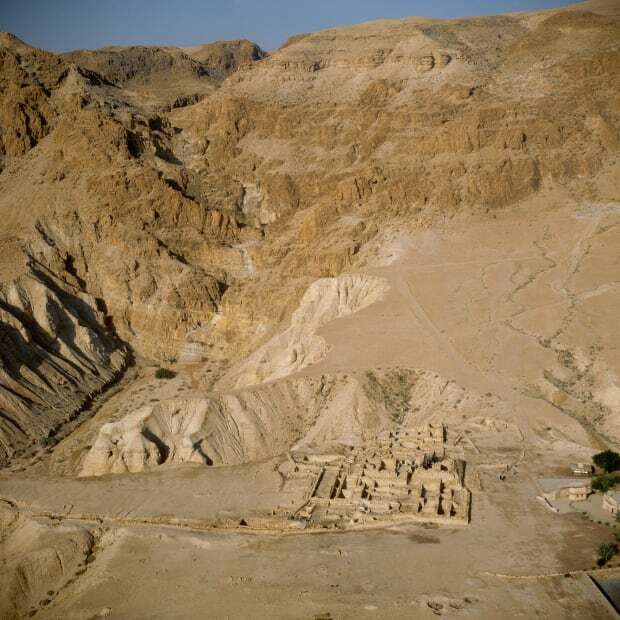 This ancient settlement, located on the northwest shores of the Dead Sea, gained international fame in the late 1940s, when Bedouin shepherds stumbled into nearby caves and discovered the first of the ancient Hebrew and Aramaic texts known as the Dead Sea Scrolls, which contain biblical text and other ancient writings. Subsequent excavations revealed the ruins of buildings and an extensive aqueduct system. Some scholars believe Qumran was home to the Essenes, an isolationist Jewish sect often credited with authorship of the Dead Sea Scrolls. At some 200 acres, this site in Upper Galilee (now a national park) is the largest of Israel’s “tels,” the artificial mounds that have formed over centuries of human settlement, as older buildings crumble and new ones are built. 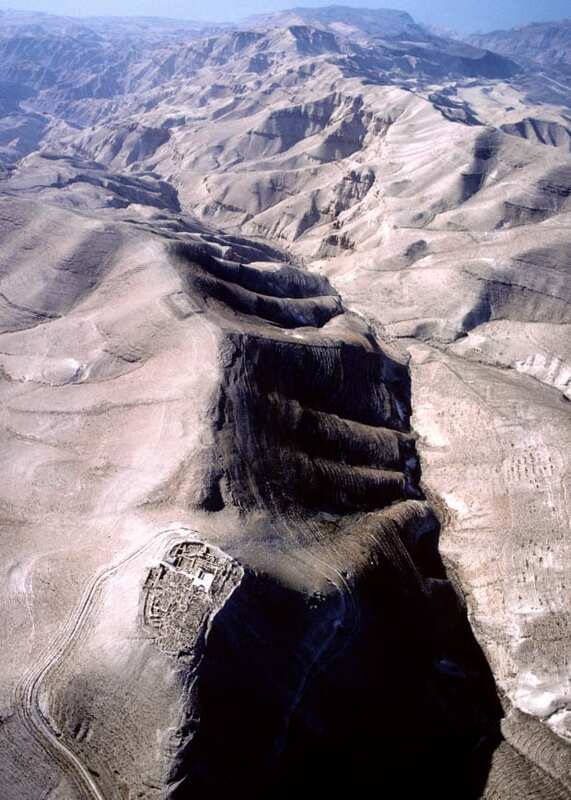 According to the Old Testament, Hazor was the site of one of Joshua’s key victories in his conquest of Canaan after Moses’ death; he supposedly burned the city to the ground, clearing the way for Israelite settlement. 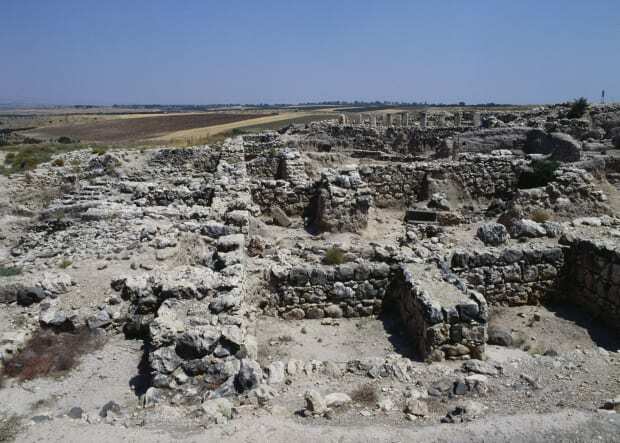 Excavations are ongoing, and though some evidence of burned materials and structures have surfaced, archaeologists are still debating whether the biblical battle actually took place. This ancient desert fortress, located just over 30 km to the southwest of Madaba, Jordan, sits atop a hill overlooking the Dead Sea. After its destruction by Roman troops, King Herod the Great rebuilt Machaerus and used it as a military base. The Bible (and Jewish historian Flavius Josephus) identified the palace-fortress as the site where John the Baptist was imprisoned and executed on the orders of Herod the Great’s son Herod Antipas.